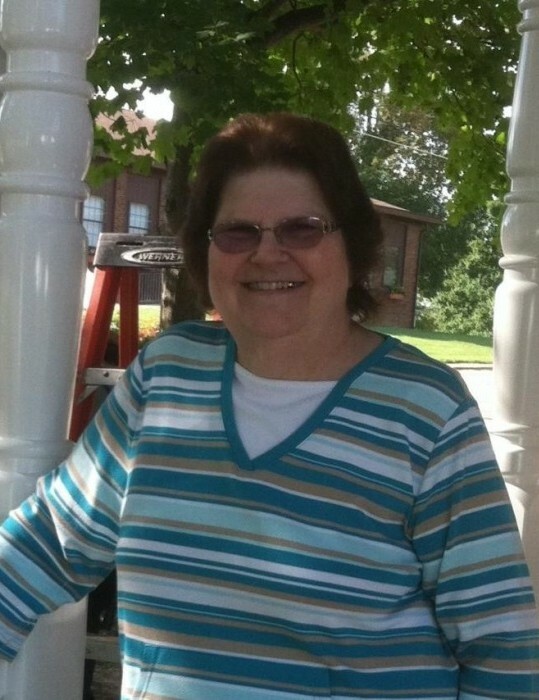 Obituary for Patricia "Patty" Dale (Graham) Weatherholt | McCoy-Moore Funeral Home Inc.
Patricia “Patty” Dale Weatherholt, 69, passed away Sunday, July 1, 2018 at CAMC Memorial in Charleston, West Virginia. She was born September 28, 1948 in Charleston, West Virginia, daughter of the late Dale Kenneth and Edna Mae Graham. She was raised in Rio Grande, Ohio, graduating from Gallia Academy High School in 1966 and was a 1970 graduate of Rio Grande College. She was married in 1970 to Phillip Weatherholt, who survives. Together, they made their home in Rio Grande, where she lived until her death. Her passion was giving advice, whether it was wanted or not. Now her friends, family, and children Janette, Amy, Kristi, and Nathan are now left to ponder who will tell them what they are doing wrong in their lives and how to fix it since she has passed. Also with her passing, Nathan – the previous “Golden Child” – has now been promoted to CFO. Her favorite holiday was Christmas, and she would have purchased anything pertaining to Christmas even if some of those purchases were inappropriate for this obituary. She served on the Rio Grande Village Council for 28 years, retiring in December 2017. She continued to be active in the community, making sure the Village employees always had plastic ware from local restaurants, which she would collect when eating out, and deliver it to the municipal building in bulk. Now the local restaurants will be left with a surplus of condiments, plastic ware, napkins, etc. She was an avid collector of many things including Christmas sweaters, having enough for every day of December without worry of a repeat; Longaberger Baskets, having enough to supply the needs of all Southeastern Ohio residents and a Barbie Collection the Smithsonian would envy. Her family is worried that QVC stock will now plummet. If you are a shareholder of QVCA-you may need to sell FAST! She is survived by her husband Phillip Weatherholt and children: Janette Elliott, Richmond Dale Ohio; Amy Case, Rio Grande, Ohio; Kristi (Jeff) Hutchison, St. Charles, Missouri; Nathan (Bethany) Weatherholt, Vinton Ohio and four-legged children Casey and Tucker of Rio Grande, Ohio – still living at home and refusing to go out when it’s raining. She also leaves behind to cherish her memory her grandchildren: Ryan Elliott, Brittany (James) Baker, Heather (John Colby) Case, Makenzie Case, Jeremiah Case, Connor Hutchison, Johnathan Case, Noah Hutchison, Ethan Hutchison and great-grandchildren Tyson Colby (Chicken Nugget) and Chloe Baker; brother Kenneth Graham, St. Albans, West Virginia; lifelong friend, Becky Bennett, Rio Grande, Ohio and cousin, Sharon Brown, Reelsville, Indiana. In addition to her parents, she is preceded in death by sister, Eleanor Adkins and four-legged children Molly, Luke, and Casper. Funeral services will be conducted 11:00 AM Friday, July 6, 2018 in the McCoy-Moore Funeral Home, Wetherholt Chapel, 420 First Ave, Gallipolis, Ohio with Pastor Heath Jenkins officiating. Burial will follow in Calvary Baptist Cemetery, Rio Grande, Ohio. Visitation for family and friends will be held Thursday, July 5, 2018 5:00-9:00 PM.